Westeros is soooo close to having a similar setup. Way up North there’s definitely an army planning on bringing some surprises to the south. I assume everyone is on the Night King’s naughty list. And the background to that story also involves elves who are hanging out with an old bearded guy (bearded at least in season 4) with a mysterious surveillance network. I can see you when you’re sleeping! I know when you’re awake! HO HO HODOR! Okay, I shouldn’t just de facto call the Children of the Forest “elves”; there are so many other distinctly elvish examples in popular culture, and we should take George RR Martin’s magical and diminutive race on their own terms, and not confuse them with, oh, elves from Tolkein. But it’s hard for me not to think of the Children of the Forest as some kind of variant of the Keebler Elves. You know, they’re both short and live in a tree. Cookies! Now made with genuine blood magic! But let’s set aside these modern notions of elves and think back on some of the older stories about pixies, faeries, and other mysterious creatures that early humans imagined living in the forests beyond their campfires. Now we’re getting closer to the reality that the First Men in Westeros had to deal with when they crossed over the land bridges from Essos. Those humans found an unspoiled land that was occupied with humanoids possessing mysterious powers and lore, and who were not happy about playing host to uninvited guests. 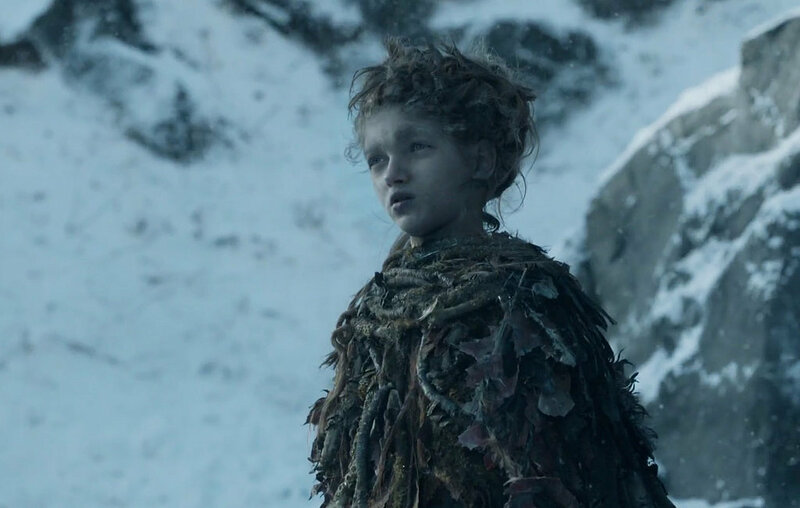 The show hinted at their existence, but really only introduced the Children of the Forest in season 4, tying them in with an ancient alliance with nigh-legendary men to stop the Others. But, and this is how things roll in Game of Thrones, the Children created the White Walkers way back when as a weapon to be used against humanity. Leaf: If you don’t want me to stab you with this, just say so. One dragonglass shard, thrust into a smooth-chested dude’s heart, and the Night’s King was created. We’ve seen that things didn’t work out as planned for the Children. That’s sort of what usually happens when you mess around with magic, which was once described in the books as a blade without a hilt. Dangerous, and hard to handle. In the past, I’ve treated the military uses of magic as not-quite-kosher methods of unconventional warfare. Up until the sixth season, the biggest culprits of using unorthodox tactics were Stannis (shadow assassinations), Daenerys (dragons), and Tyrion (wildfire). A couple of years ago, I wrote a breakdown comparing those three to see which one might be considered the worst war criminal if Westeros had some kind of tribunal that frowned on such methods. I’ll do a quick summary of that post: I ranked each individual from least to worst offender in regards to these categories: Precision, Casualties, Fair Warning, Target Legitimacy, Willingness – and I summed up their rankings for an overall score. Stannis and Tyrion ended up tied for second place, with Daenerys earning the title of worst war criminal. I’ve been meaning to re-evaluate those standings, since Daenerys now has more control of her dragons and Stannis ill-advisedly tested the waters with more fire magic. Now we can add the Children of the Forest onto our roster of magic-wielding offenders. Since the rating of precision means how well-targeted the weapon might be, or if it is indiscriminately deadly, the Children of the Forest get slammed for creating a weapon that turned on them, and “indiscriminately deadly” seems to be a good description. (Although the White Walkers seem to have made an arrangement with Craster, so it’s possible that the Others can be negotiated with.) Regardless, the Others were uncontrollable and even deadly to their creators. Dany’s precision score improves slightly, since she has more control over her dragons, even if she did lose some Unsullied in the fighting pits to Drogon’s fiery breath. This was a hard category to judge. As a reminder, Tyrion gave no warning that he was going to use wildfire to defend King’s Landing, but it wasn’t a complete surprise. Stannis at least knew about the military uses of wildfire, as well as more conventional flammable substances. Stannis gave no warning to Renly, and instead offered non-hostilities for the night (a safe-conduct truce which he broke.) But Dany entered into an agreement with the slaver’s of Astapor, and certainly her move was a surprise. Where do the Children fall into this spectrum of fair warning? I’d assume that once the Children created the Others, they were ready to immediatly deploy them against the First Men, rather than try to threaten or intimidate the humans. The Children allegedly already had used magic to shatter the land bridge between Essos and Westeros, as well as flooding the Neck to create barriers to human encroachment. So the First Men were probably expecting magic, but nothing like this. Bran was surprised at the origin of the Others, so any hypothetical negotiations between the First Men and the Children, along the lines of “surrender humans, or we’ll do this bad thing” never made it into Old Nan’s stories. If unconventional weaponry is going to be used, it’s hoped that at least it will be deployed against legitimate targets. Tyrion was fighting against soldiers in a war, Stannis killed his usurper brother Renly, and Dany took out slavers (mostly.) Where do the Children fit in? I kind of expanded the scope for this one. Clearly, the First Men were the target, and it’s hard to know if the Children were only expecting to have the Others kill the fighting men and not non-combatants, but the behavior of the White Walkers imply that they were going after anything living. And, the addition of the necromancy makes me weigh down the scale a bit. The ability of the Others to reanimate the bodies of dead humans into wights, who then killed more humans, which allowed for the creation of more wights, gets a special boost of awfulness. It seems fair to say that the valiant fallen and the innocent should not be turned into the corrupted, animated dead. Boom. Children of the Forest’s use of the Others in this capacity is the worst in the illegitimacy of who was affected. To clarify, willingness means how likely the particular weapon/magic/unconventional tactic would be used again. I’ll give the Children of the Forest credit: they don’t seem to be in a hurry to create more Others. If push came to shove, Tyrion would probably use wildfire again before the Children would create another Night’s King. 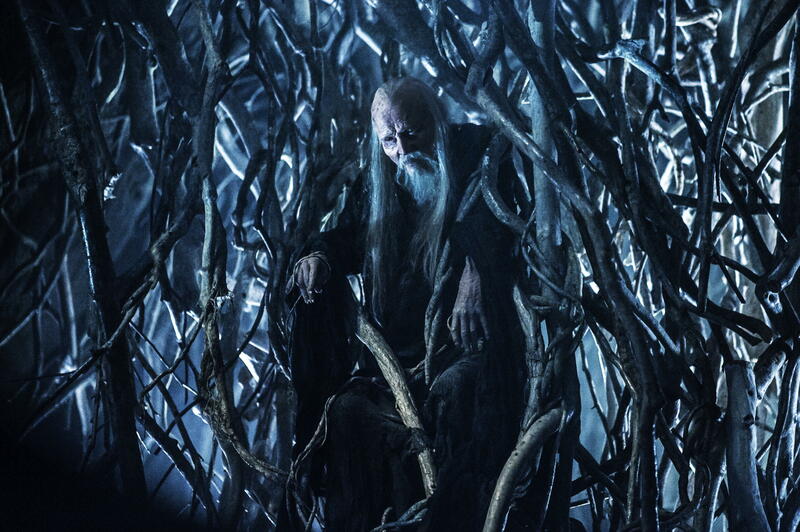 (They still use magic and dragonglass to the heart, but cold-handed Benjen is nothing like the leader of the Others.) 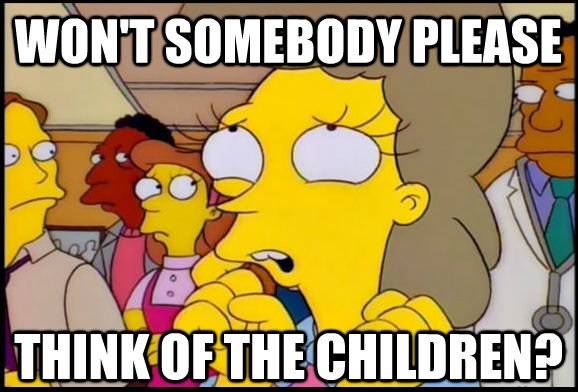 So I’m putting the Children on the low end of the list, of being not willing to repeat this use of magic. Tyrion and Stannis continue to be tied, although the inclusion of the Children of the Forest adjusted their scores from 8 points apiece, to 10 points apiece. They weren’t the only tie though. Daenerys and the possibly now-extinct elfin race are tied for first place at 15 points apiece. Murderous dads and demon-monkey imps just aren’t as egregious in their warlike behavior as potentially mad queens and misanthropic magical munchkins. So, the Children of the Forest are pretty bad. Maybe they deserve what appears to be their extinction. But, I hate that we have so many ties going on. I’d like a bit clearer ordering in my completely subjective set up. If only we had another person in Game of Thrones who was guilty of using rare and unconventional tactics to further their political machinations. That might break up some of these ties. Cersei Lannister. Breaker of Hearts, Breaker of Ties. Okay, this is the last Game of Thrones post that I have scheduled for 2016, which ends my bi-monthly schedule. Starting in January, I’ll start putting out posts every week. I would like to say that I’ll be doing that all the way to the premiere of Season Seven, but no one knows when that will be, and I only have twenty topics planned. Hope everyone enjoys any end of the year celebrations responsibly. And leave out milk and cookies for us! WE’RE STARVING! 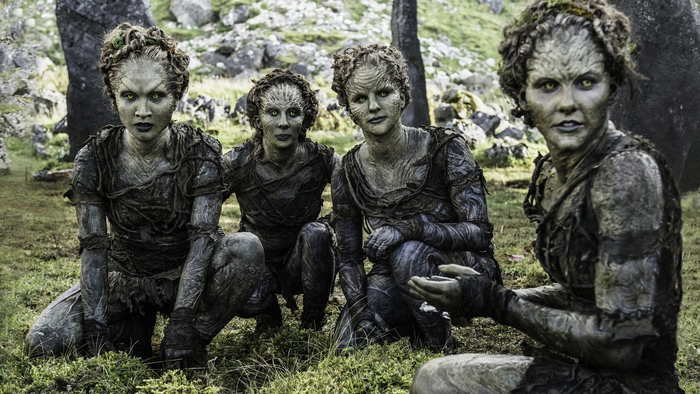 Most images from HBO’s Game of Thrones (obviously.) 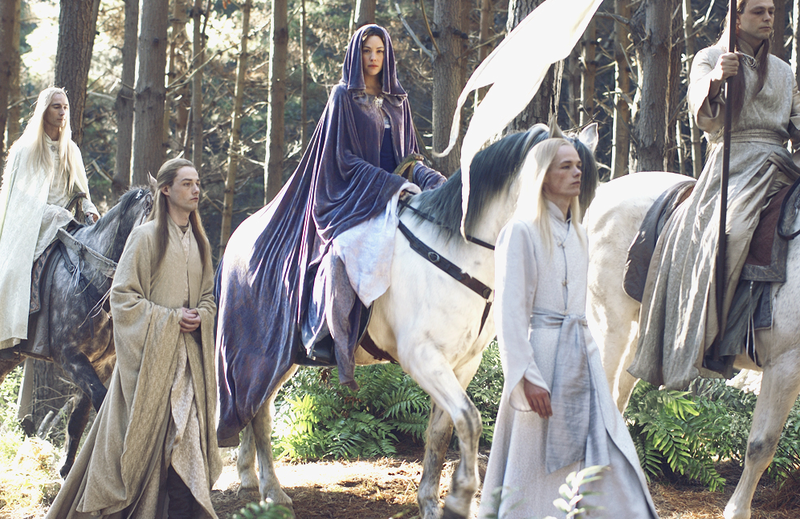 Those unearthly beautiful elves are from one of those Lord of the Rings movies. (The third one? Don’t judge me.) 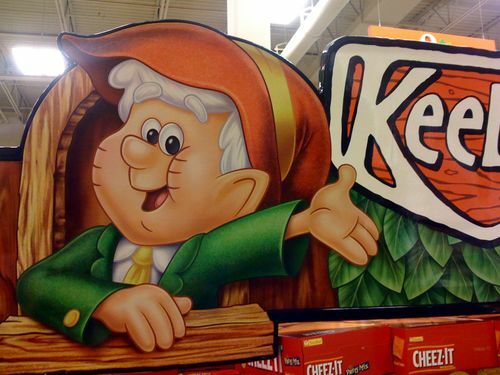 The happy cartoon elf is property of Keebler, which is owned by the JM Smucker Company. (I think that’s right. I’m the worst at this.) Cartoon is from the long-running classic television show The Simpsons, found on FOX television. 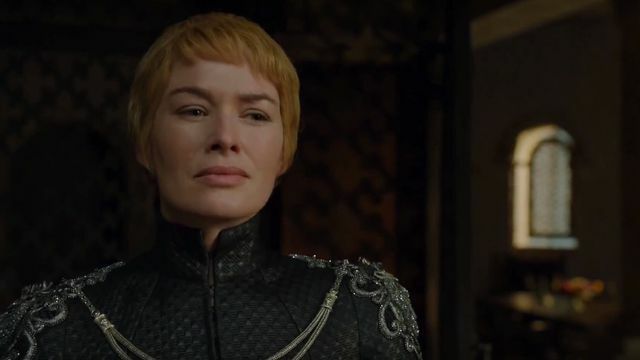 I was wondering where Cersei would fit in until I came to the end of your post 😉 And I read on Twitter (don’t remember the source) that she is more badass in the next season… Go figure! I have a few posts planned for Cersei in 2017, I hope you enjoy them. How inspired–figuring out how to tie GoT to Christmas, cool! Hadn’t realized how deadly the Children of the Forest were, but you make a great point. It will be interesting to see if anyone taps into them as a resource in the final season. I’m glad you liked my Christmas tie-in! I really can’t wait for what GRRM has to say about the Children (hopefully) in his next book. I have a feeling it’s going to be a little more complex and detailed than the show portrayed, but the trope of a weapon turning against its creator is nothing new. I can’t wait to see how your rank Cersei! Yeah, I’m curious exactly how things will be as well. You’ll get my Cersei ranking in around 10 days. Once again, let me thank you for your loyal readership, it’s a gift. I’m reading your posts throughout the week! Yes. Loving the way you think! Thanks Dad, I’m glad you enjoyed reading it. Everyone, my dad’s the best. It is known.